Vietnam Airlines has received its 1st Airbus A350 on 30/June, becoming the 2nd customer, after Qatar Airways, to take delivery of the type. 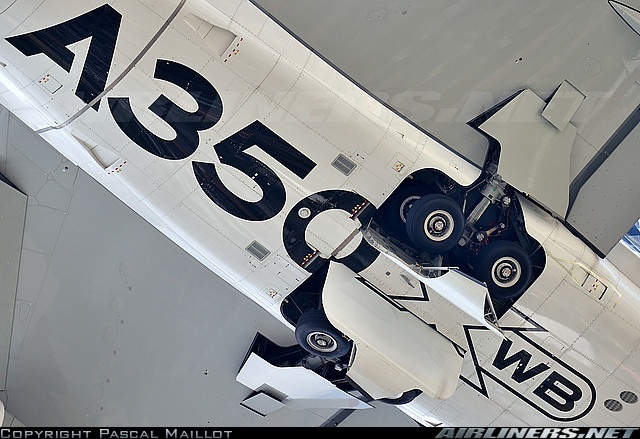 The carrier is taking the A350-900 through leasing company AerCap. 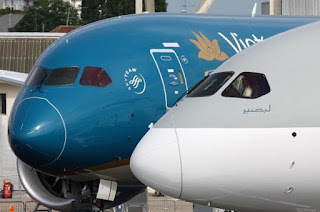 The handover ceremony with Vietnam Airlines, the lessor AerCap and engine manufacturer Rolls-Royce has been celebrated in Toulouse headquartes of Airbus. 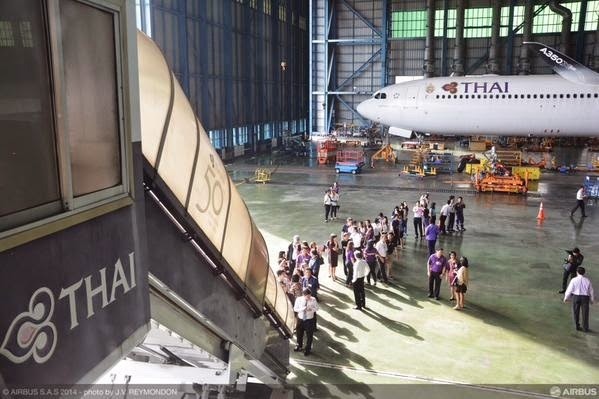 The aircraft, MSN14, will carry the registration VN-A886. 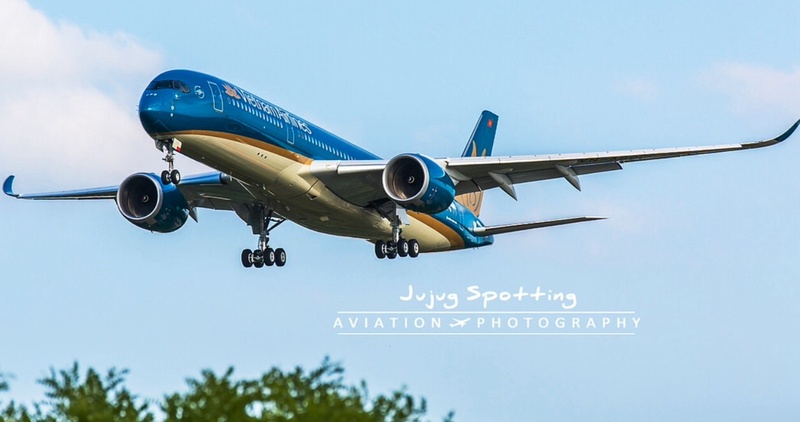 Vietnam Airlines has 10 of the type on order, and is taking another 4 from leasing firms. 1st commercial flight on A350-900 will be on Friday 3/July from Saigon to Hanoi at 11:35 AM. Vietnam Airlines is offering free round-trip flights to Platinum and Gold members of the Golden Lotus Plus (GLP) program and other partners. 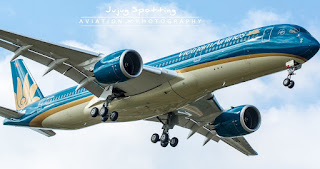 Based on the article "Vietnam Airlines receives 1st A350" published in FlightGlobal. Airbus looking at the market to decide launching the A350-1100. The Wall Street Journal reported that Airbus is talking with customers about the prospect of a stretch of the Airbus A350-1000 (commonly referred to as the A350-1100) while The Seattle Times reported there are no customer talks. 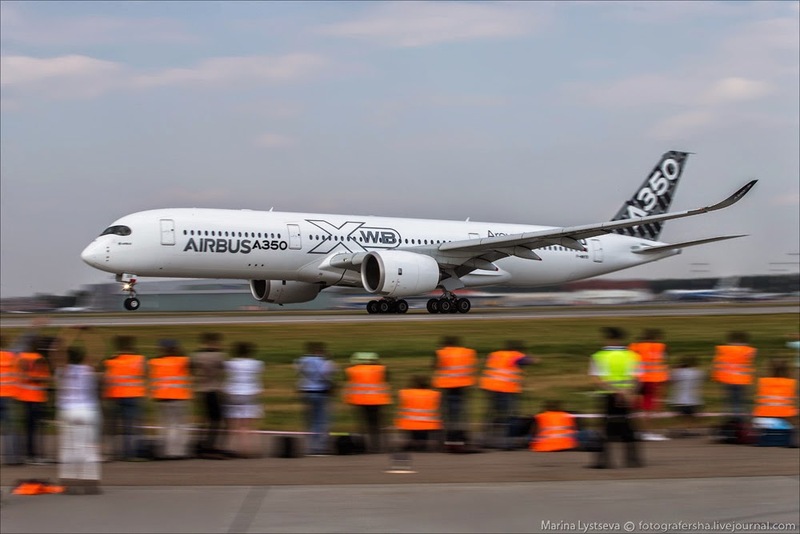 Leeham News asked John Leahy, COO-Customers of Airbus about the A350-1100 on the sidelines of the closing Air Show press conference. 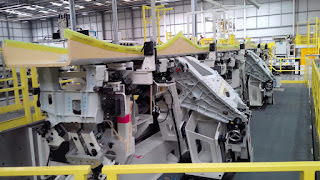 “We’re now looking at, is the market shifting in their direction? 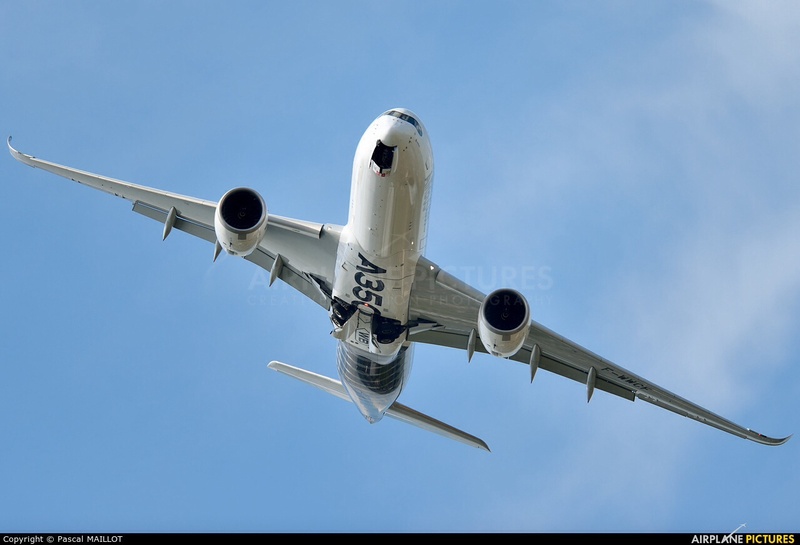 If it is, then we should be looking at a straight stretch of the A350-1000. 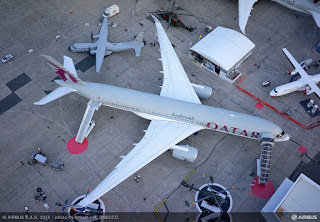 There is a large product gap between the A350-1000 and today’s A380. If Airbus stretches the A380to seat 50-100 more passengers as part of a neo package, this gap would increase, making the A350-1100 more desirable to fill this gap. Leahy said a decision on the A380neo will likely come by the end of this year or early next yearalthough there are market expectations that a decision would come at the Dubai Air Show in November. 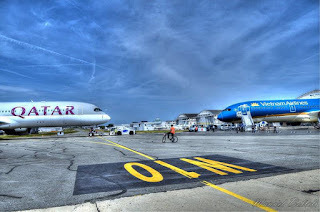 Based on the article “Odds and Ends from Paris Air Show” published in Leeham News. 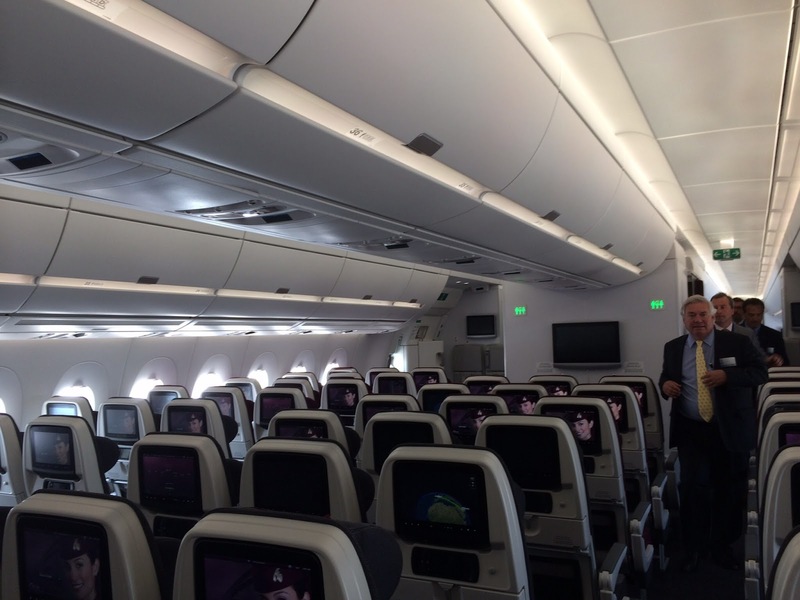 6 additional seats in A350 with new rear-galley Japanese option. 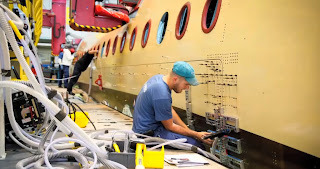 Airbus and JAMCO have signed an agreement for the development, manufacture, supply and support of a new aft galley and lavatory module option for the A350 XWB aircraft Family. 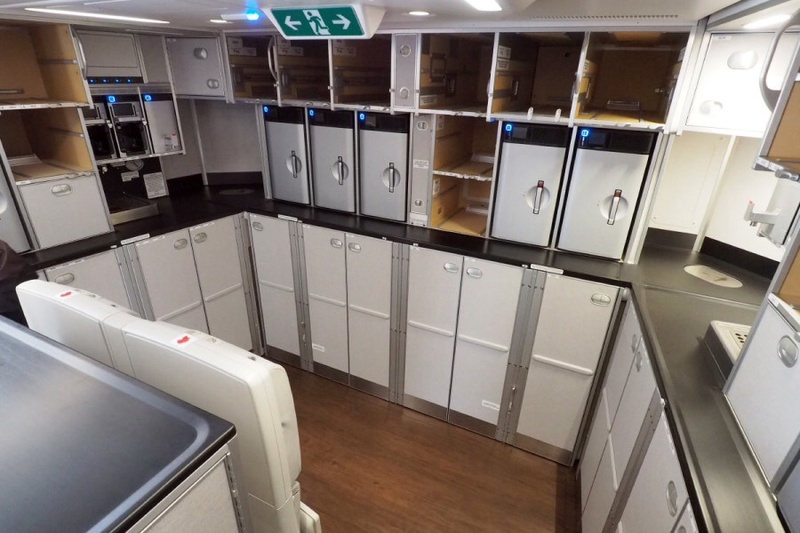 The new galley arrangement, which will accommodate up to 16 trolleys and 2 lavatories integrated into the rear fuselage section, will become available from 2018 to airline customers as a ‘supplier-furnished-equipment’ (SFE) offering. With this SFE contract, JAMCO becomes a ‘Tier1’ cabin supplier and risk-sharing partner to Airbus. 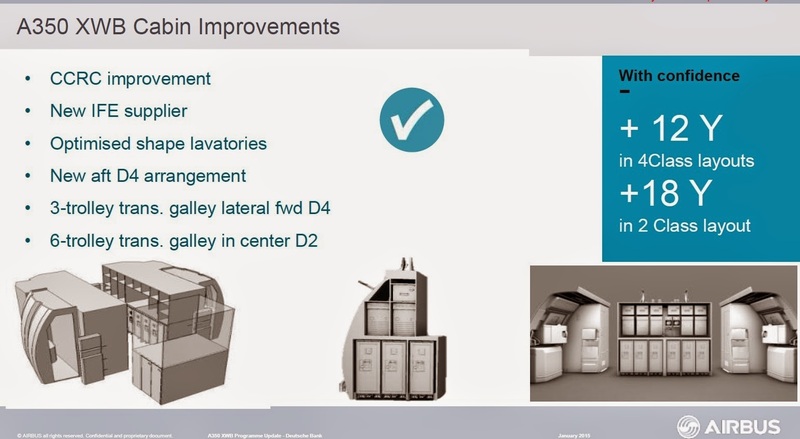 The new module is called “ICE Rear Galley”, in which the acronym “ICE” means “Increased Cabin Efficiency”. This cross-product brand addresses the Airbus concept of packaging a selection of complementary cabin enablers to add more seats and reduce seat-mile costs, without reducing the seat-pitch comfort level for passengers. As with the A350’s existing ‘V-shaped’ galley standard offer, this new option by JAMCO is compatible with the overhead cabin crew rest compartment in the rear fuselage. 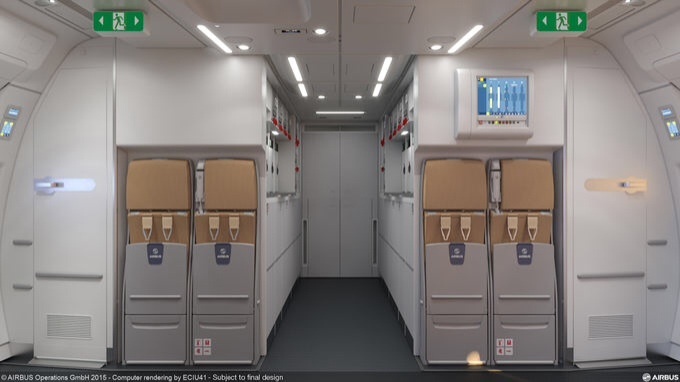 The ICE Rear Galley option will be retrofitable on the A350-1000 from entry into service, and for the A350-900, structural provisions will be introduced for retrofit. All the other A350 XWB galley suppliers remain unchanged throughout the rest of the aircraft. Emirates CEO Tim Clark said that while he’s satisfied the 787-10 will be very reliable in service, because it’s a simple stretch of the already reliable 787-9, he doesn’t yet have the same comfort with the new Airbus jet, only 4 of which have been delivered so far. 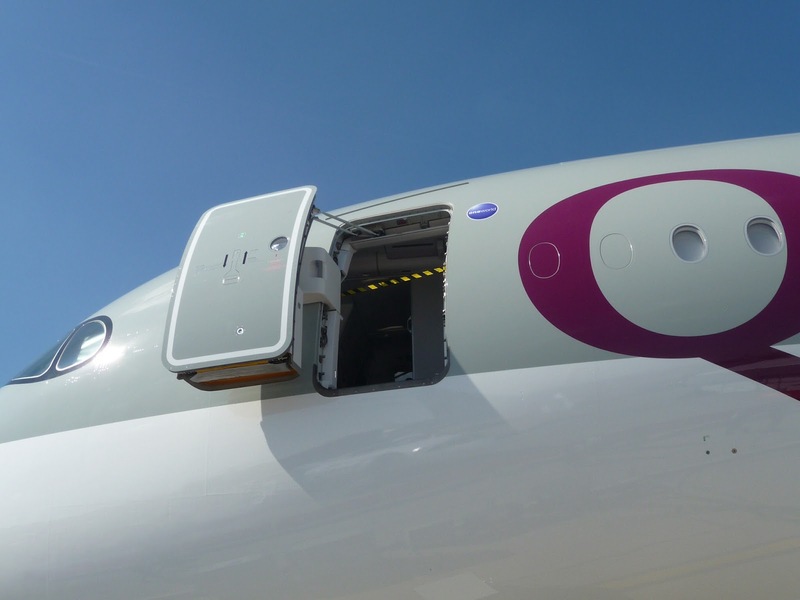 On the other hand, those 4 A350s in service were delivered to his Gulf neighbor, Qatar Airlines chief executive Akbar Al Baker, who has been lauding the plane to Clark. “We’ll put all that into the pot and just see what the assessment is,” Clark said. 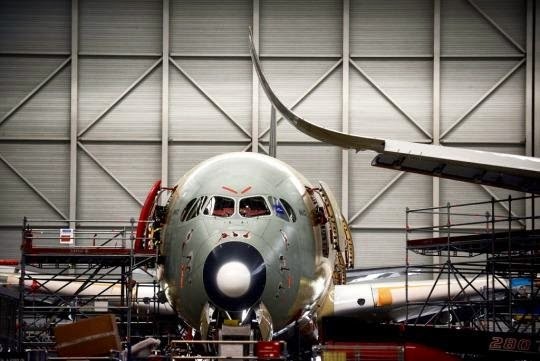 The industry expects Emirates to announce its choice at the Dubai Air Show in November, but Clark said the order may wait until Dubai’s new airport in Dubai is more developed and the carrier has evaluated whether it will hold onto the 777s due to come off lease in the next few years. The competition remains open, with both Airbus and Boeing now enticed to sweeten their offers to close the deal. 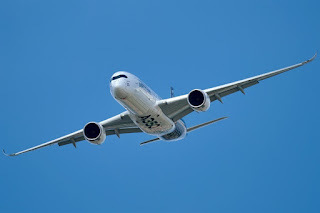 Boeing's largest Dreamliner, the 787-10, is pitted against the Airbus A350-900 in competition for a big order of around 50 aircraft from Emirates. 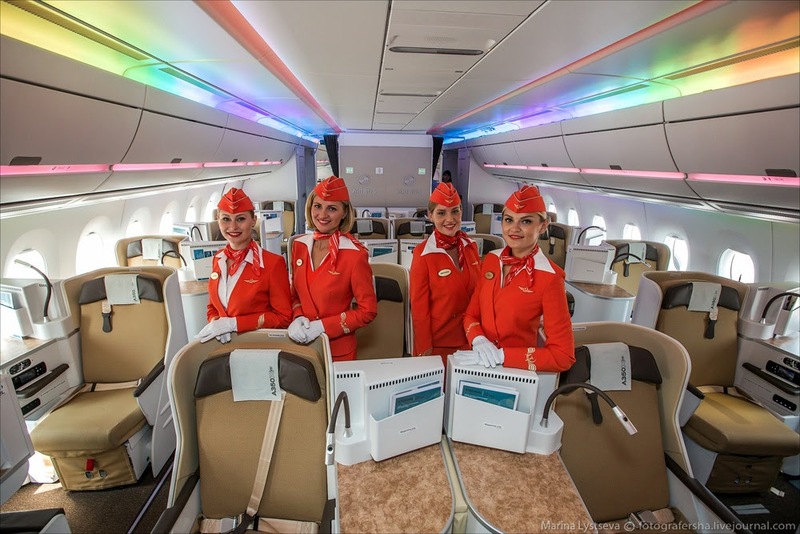 Emirates CEO Tim Clark is evaluating the 323-seat Dreamliner that’s due to debut in 2018 against the already-in-service, 325-seat Airbus A350-900 for Emirates’ medium long-haul flights of 8 to 10 hours. 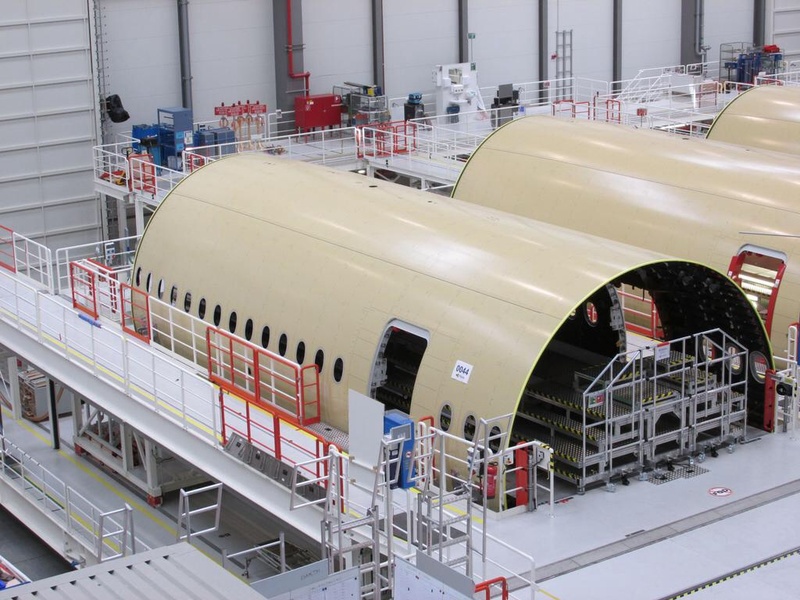 Boeing is hoping to win a big order for its largest Dreamliner, the 787-10, as soon as November from giant Gulf carrier Emirates. 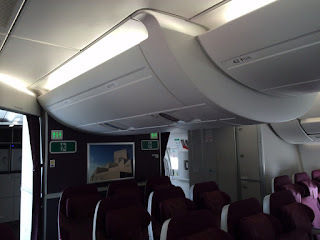 But there’s a problem. Clark said the problem for Emirates is that the Dreamliner engines lack the ideal thrust range the carrier is looking for. 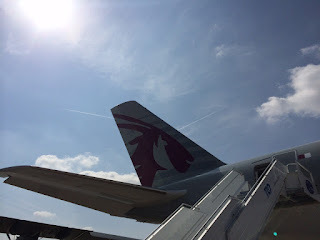 He said that when temperatures at the Dubai airport soar past 43ºC (110ºF), as they have in the past week, it creates adverse operating conditions that demand higher power. 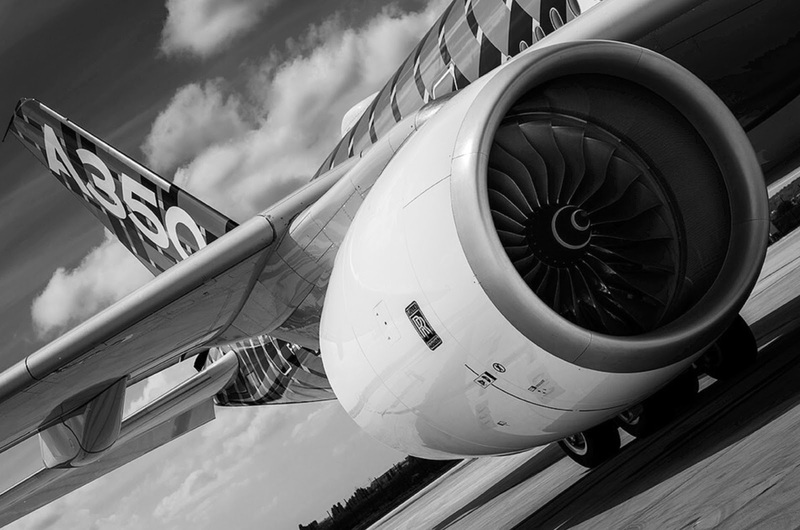 “That makes life difficult” for the 787-10, whose engines generate about 76.000 pounds of thrust. 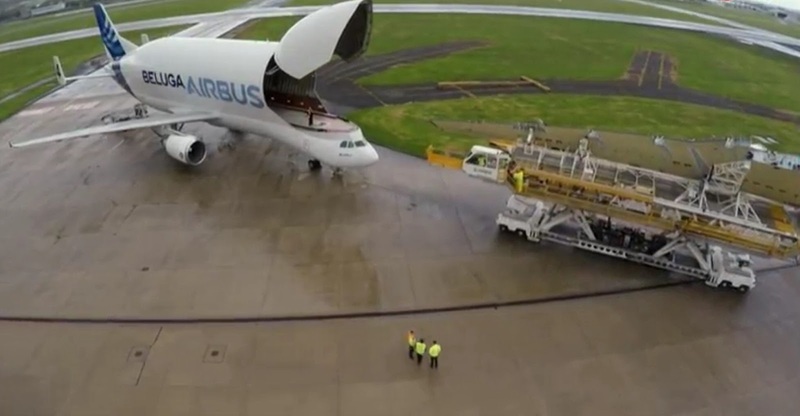 Clark said his team estimates that up to 84.000 pounds would be needed to assure take-off with full loads all year round. “On the A350-900, we don’t get those kind of operating conditions restrictions,” he added. 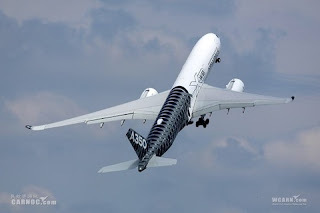 The A350-900 is a heavier airplane, he said, designed to fly nearly 1.000 miles further than the 787-10, which has a range of about 8.000 miles that’s enough to do the required missions. 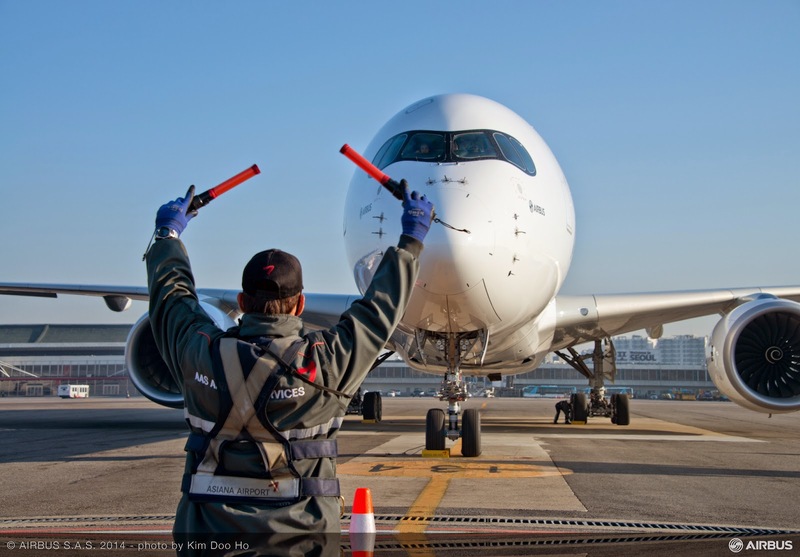 TAP order of 12 A350 could be cancelled by new shareholders. 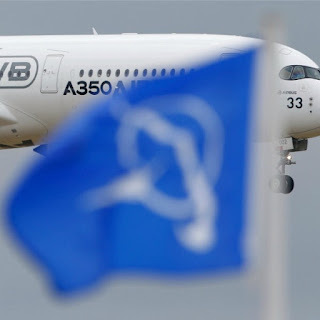 The contract signed by TAP President Fernando Pinto in 2007 for the purchasing of 12 Airbus A350 could be rejected by the new shareholders of the company. The proposal of Neeleman and Pedrosa includes a statement where it assumes the "sale or transfer" of the TAP´s slot for these aircraft. 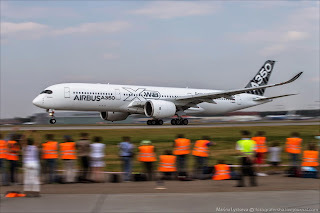 The new shareholders want to promote a "change of the A350 for A330", and to have some cash input selling the A350 slots reserved as well as getting back all the capital invested by TAP with the contract signature. 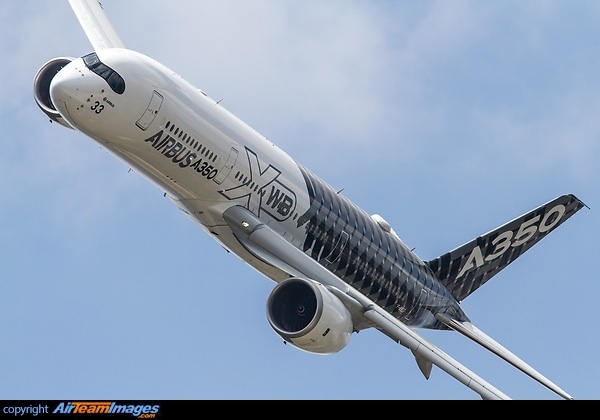 First A350 deliveries for TAP´s order of 12 are scheduled in the first quarter of 2017. 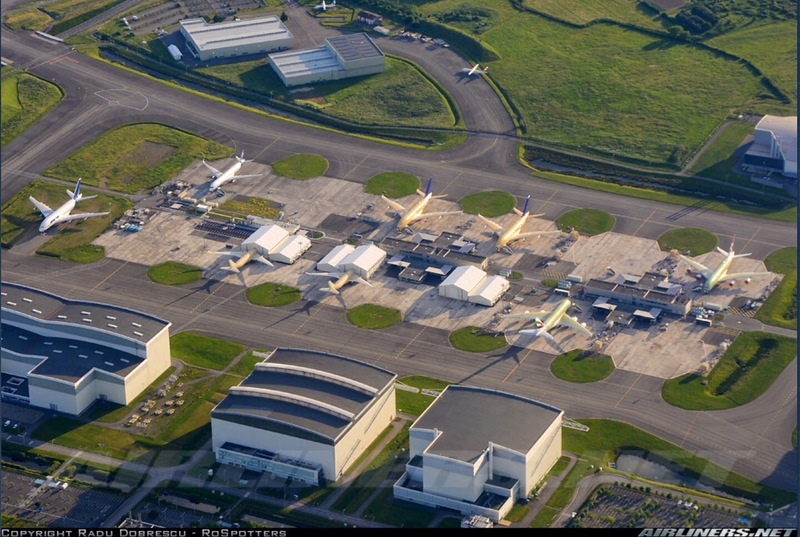 TAP was the 4th company and the 2nd in Europe, soon after Finnair signing for A350s. This position is relevant for the new shareholders. 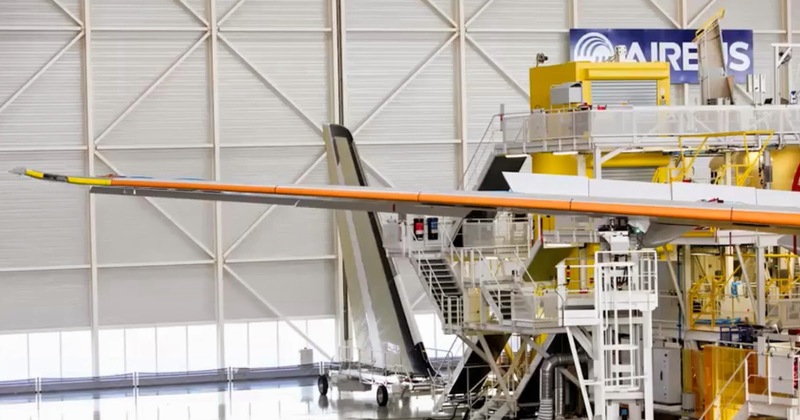 Based on the article “Neeleman e Pedrosa admitem vender lugar da TAP na compra dos A350” published in Dinheiro Vivo. Aeroflot discussing with Airbus A350 model-mix & delivery dates while cancelling 787 order. Aeroflot has cancelled its order for 22 Boeing 787s, the carrier's deputy general director for strategy and alliances Giorgio Callegari confirmed at Paris Airshow. "We have exercised our option to terminate the contract on the 787," he said. 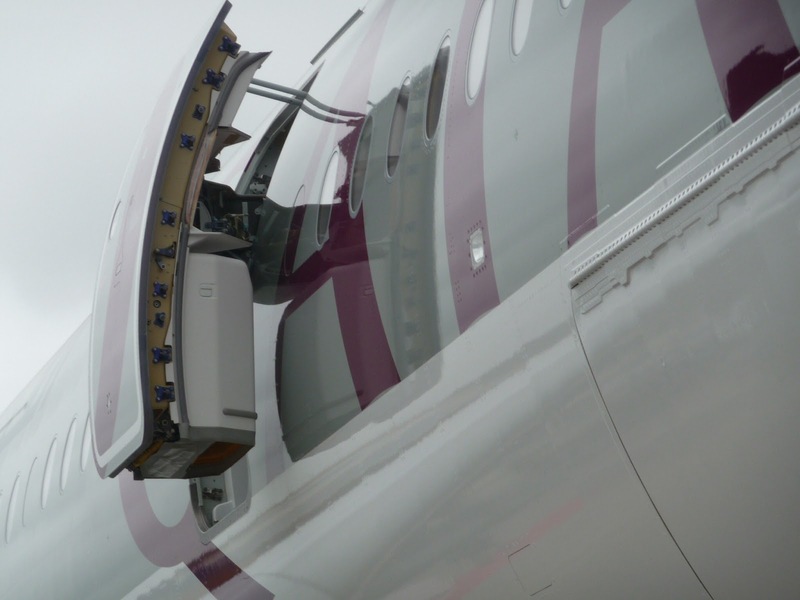 The airline executive said the decision was based on analysis of "capacity at the airport [Sheremetyevo]" and the "sustainability of the fleet development –sustainability in terms of the right mix of widebodies and narrowbodies and network development". Callegari said Aeroflot did not incur a financial penalty from Boeing for cancelling the order. 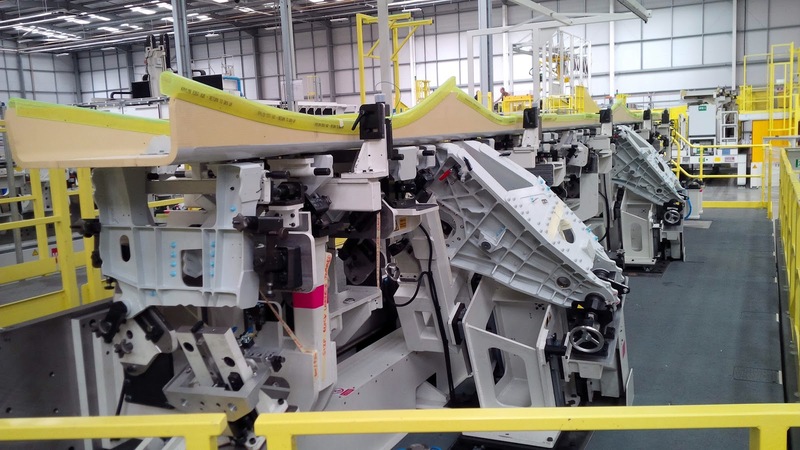 The decision, he added, "was not a one-day process, but taken in due course and discussed with the relevant stakeholders and counterparts". 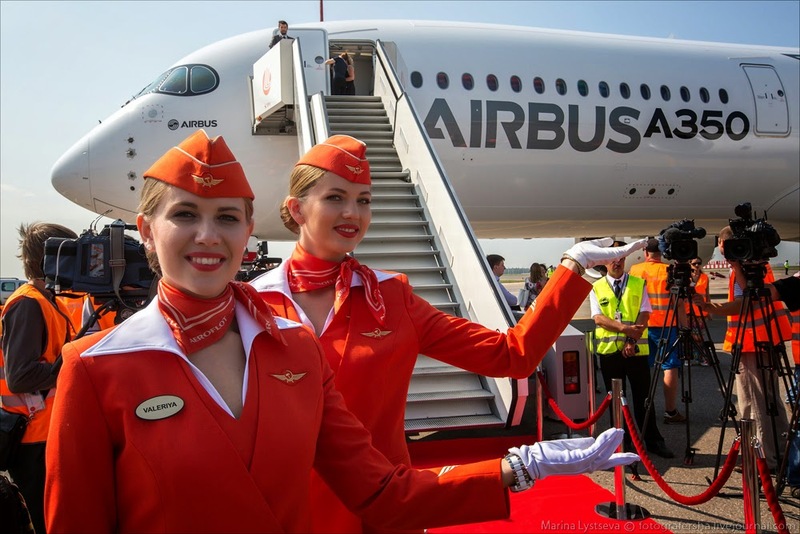 Aeroflot is also reviewing its order for 22 Airbus A350s, but Callegari rules out any possibility of these being cancelled. Instead, he said, the on-order mix of 8 A350-800s and 14 A350-900s is "something that we are looking at". The delivery dates for the A350 order are also "part of the discussions". But while the airline "does have a date in mind... we are not disclosing it", added Callegari. Based on the article “PARIS: Aeroflot cancels 787 order” published in Flight International. 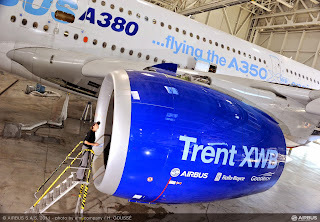 A350-1000´s first flying testbed engine Trent XWB-97 S/N-26000 to run before end of the month. 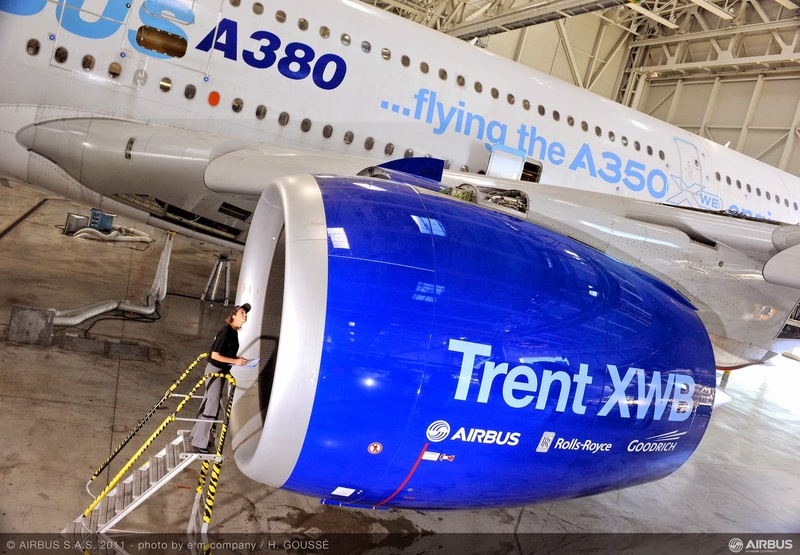 With the Airbus A350-900 now in service, engine producer Rolls-Royce is turning its attention to the A350-1000 and the Trent XWB-97 engine, which is based on the -900’s Trent XWB-84. Simon Burr, who was promoted to be R-R’s COO for civil large engines in May, said the XWB-97 would make its first flight next year on Airbus’s A380 flying testbed (MSN001), and has “the largest fan Rolls-Royce has ever produced” –118 inches in diameter. 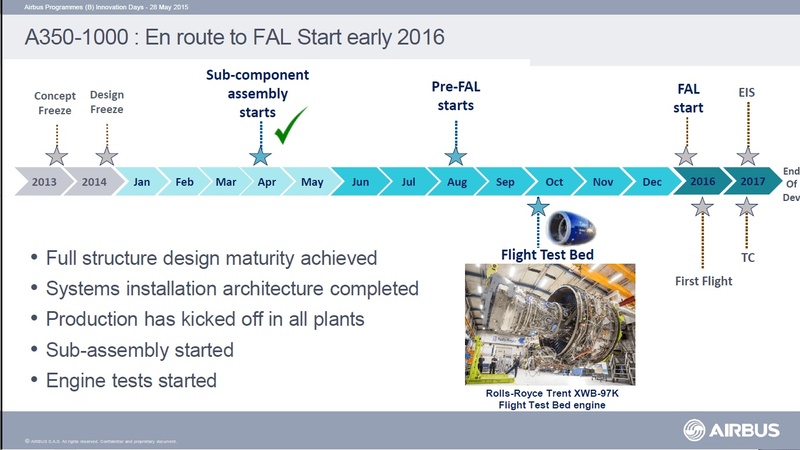 For now, the first test engine (1 of 4 that have run to date) completed 150 hours of ground testing since its first run in July/2014. 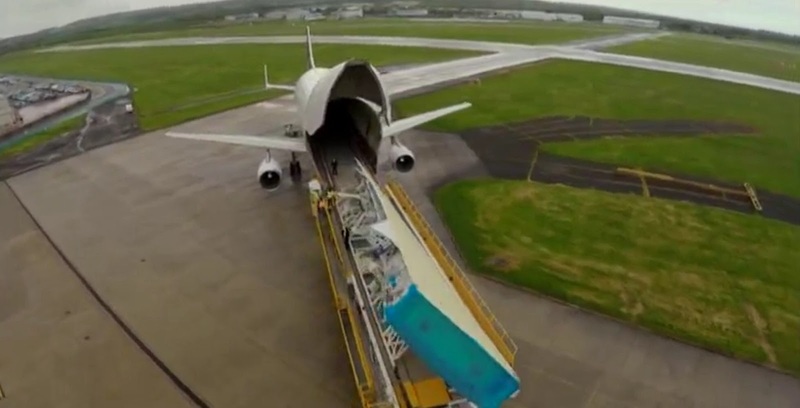 “It’s already gone to 99.000 pounds force,” said Burr. He added that engine (Serial No. 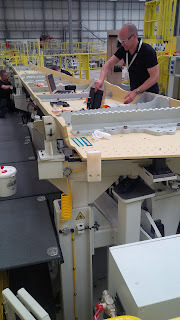 20021) is now being rebuilt to be ready for bird-ingestion and rail/hail tests this summer. 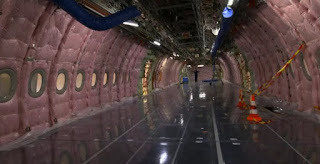 The key engine, however, is the flying testbed (Serial No. 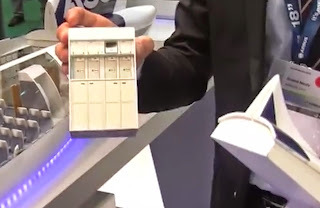 26000), which will be close to the production standard and will be the first engine to fly. “The engine is coming together and will run in June and will be delivered to Toulouse in July so Airbus can pod it. 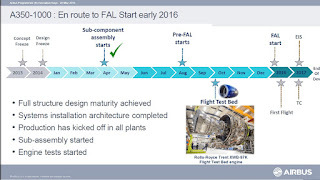 After the first 150 hours of engine runs the company made “some adjustments mainly to the combustor thermal profile,” said Burr. 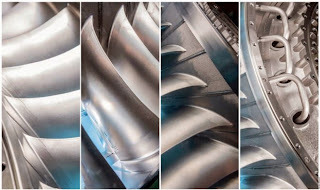 Of the other test engines, 20022 will be used for endurance, 20023 for performance and fan testing, 20026 for icing and maturity, 20024 for the turbine and air system, and 20025 for telemetry testing. 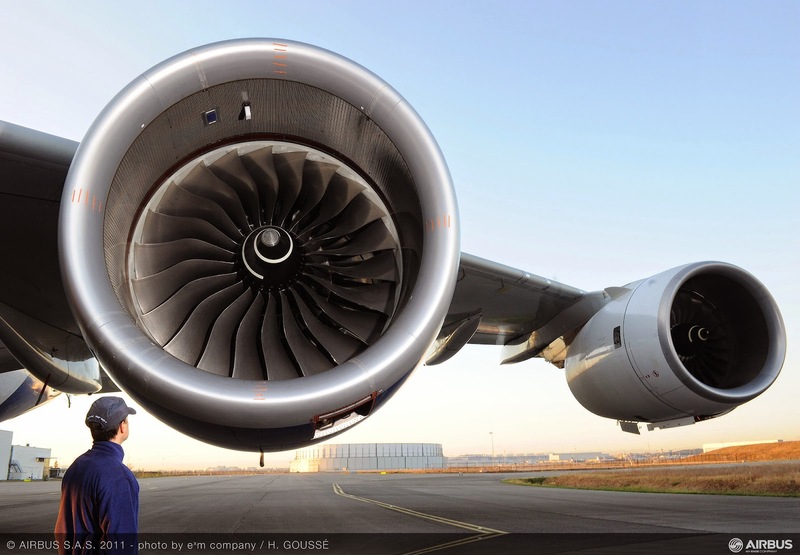 Compared with the -84 the -97 engine is, obviously, larger with more thrust. 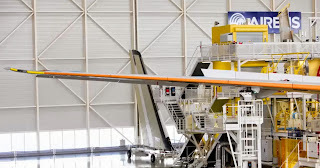 It will “turn faster and run hotter to get the additional thrust,” said Burr, who was quick to say that “the engine is still very comfortable.” In addition, he said, the fan has been “tweaked” aerodynamically. 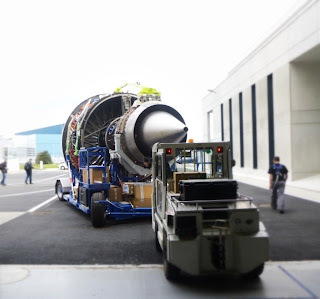 The result has been to obtain another 13.000 pounds of thrust with the same fuel efficiency, with the fan turning 6% faster than with the -84 to get a higher volume throughput. The core of the engine is scaled up by 5% over the -84 and has unshrouded HPT (high-pressure turbine) blades. 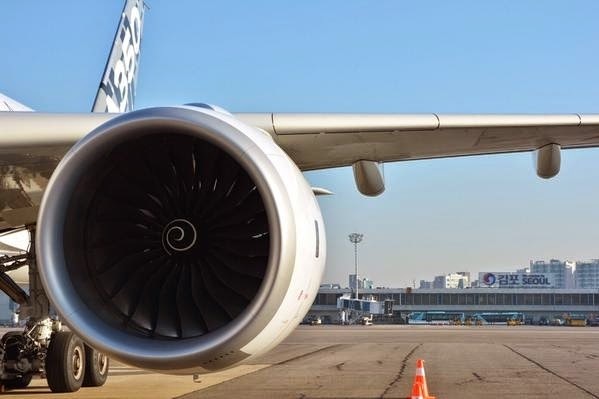 Overall, however, the company has come down on the side of commonality wherever possible, with 80%of line replaceable units being common on the XWB engines. 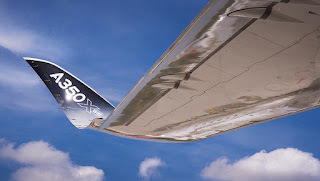 A350 wing dimensions requires 1m wider new Beluga XL. Airbus’s new A330-based high-capacity transport Beluga XL will provide a 12% increase in payload. Airbus Head of Programs Didier Evrard said the new Beluga XL would have 1m. 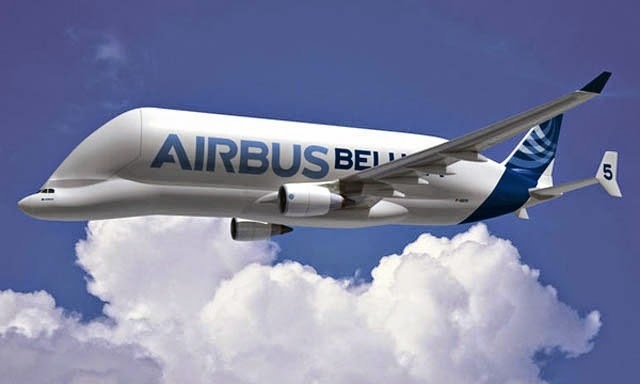 wider cross-section and 6 meters in length more than its predecessor A300-600ST Beluga. 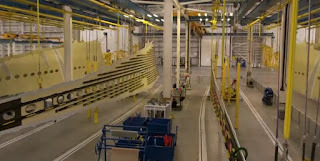 It would be intended primarily for A350 work, and is being designed with capacity to ship 2 A350 wings simultaneously. 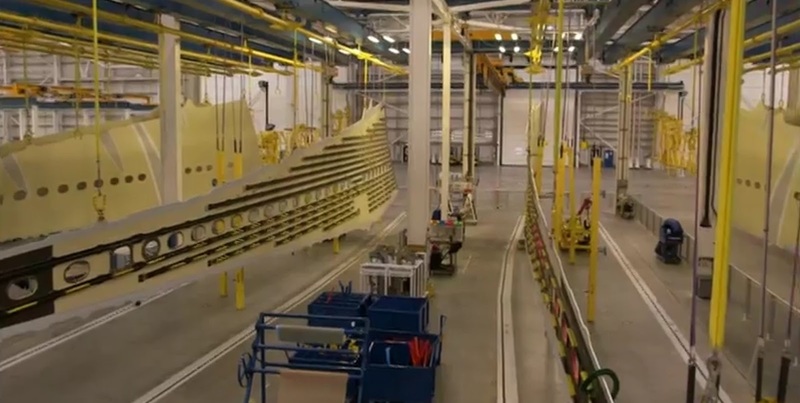 5 aircraft will be “progressively” built, says Evrard. 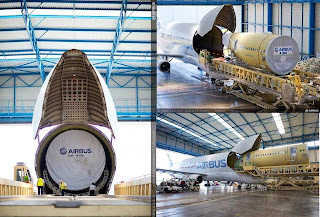 The first 2 are “essential” to supporting ramp-up operations with the remaining 3 being introduced as the current Beluga fleet retires. 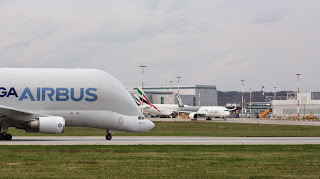 Evrard pointed out that the Beluga program will be used as a training exercise to refine Airbus’s development processes, in order to make them faster and simpler. 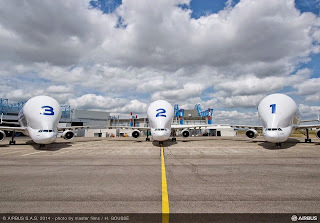 Airbus expects the Beluga XL fleet -scheduled to enter service in mid-2019- to offer an extra 30% transport capacity to the manufacturer, which has been adapting its logistics strategy in various ways to cope with the demands of A350 production ramp-up. “We can relieve a lot of the ramp-up burden by moving smaller components to road traffic,” saidAirbus COO Tom Williams, adding that the airframer will “focus the Beluga on very big components”. 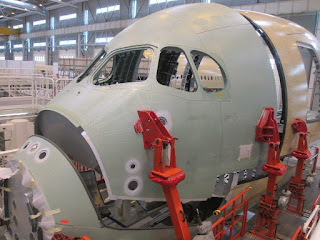 Based on the article “A330-based Beluga to have larger cross-section” published in FlightGlobal. 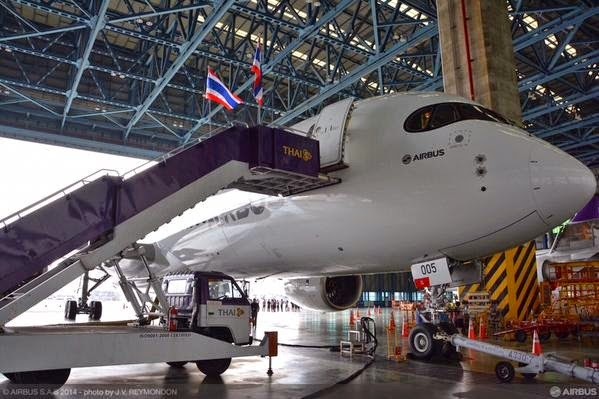 THAI´s 1st A350 on progress to start the FInal Assy in October. Manufacturing of the 1st A350 for Thai Airways International (THAI) is advancing well, with major components progressing towards the start of final assembly in October/2015. 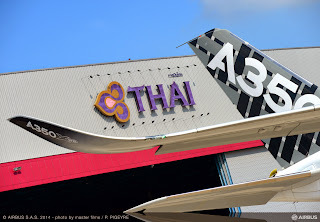 The delivery of the MSN44, the 1st A350 to THAI, is scheduled in mid-2016. THAI will acquire a total of 12 A350, with 4 on direct order and 8 on lease from ALAFCO and CIT Aerospace. Thai Airways also has another 4 of the aircraft on option. The airline will be able to operate these aircraft on long-haul services to Europe and in Asia. The ‘forward fuselage’ was manufactured and assembled by Premium Aerotec in Augsburg, Germany, and delivered to Airbus in Hamburg, Germany for equipping (including brackets, tubes, pipes, systems). This section will then be flown from Hamburg to Saint-Nazaire, France, where the ‘nose fuselage’ section is already for assembly & equipping after been manufactured by Stelia Aerospace. These 2 sections (‘nose fuselage’ and ‘forward fuselage’) will be joined up to form the front fuselage, which will subsequently be shipped from Saint-Nazaire to the A350 XWB Final Assembly Line in Toulouse.